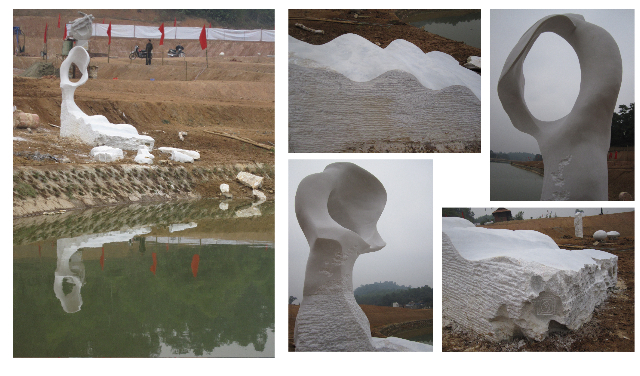 Zhang Yaxi was an invited stone sculptor at yet another International Sculpture Festival in Vietnam in 2009. The monumental white marble sculpture she created is a stylized form called "Water Dream". Some areas of the white marble sculpture were worked on so they are very smooth, while other areas carved remain rough, offering a very visual, sensual contrast, and retaining the marks of a stone sculptor's tools. 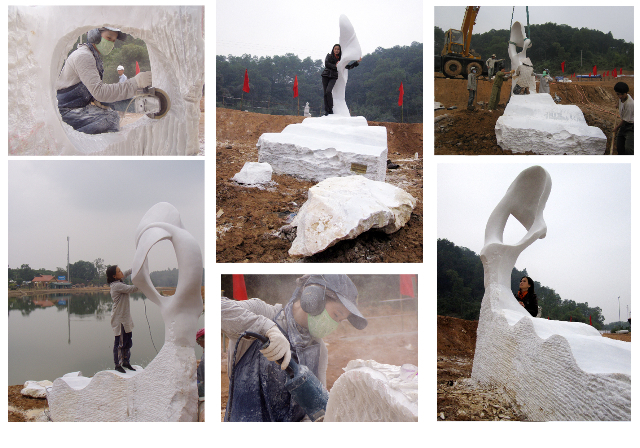 This monumental marble sculpture carved by Chinese sculptor Zhang Yaxi is not the type of sculpture every female sculptor likes to tackle - but Yaxi has now accumulated a lot of stone carving under her belt, and thanks to a bit of assistance and a huge amount of hard work, she was able to complete the artwork on time. "This sculpture celebrates the eternal qualities we associate with water. Dreams of water can flow through the open shape, which itself is like a water drop within a wave of water. It is also a fact that when I carve marble, I achieve a dream-like state."